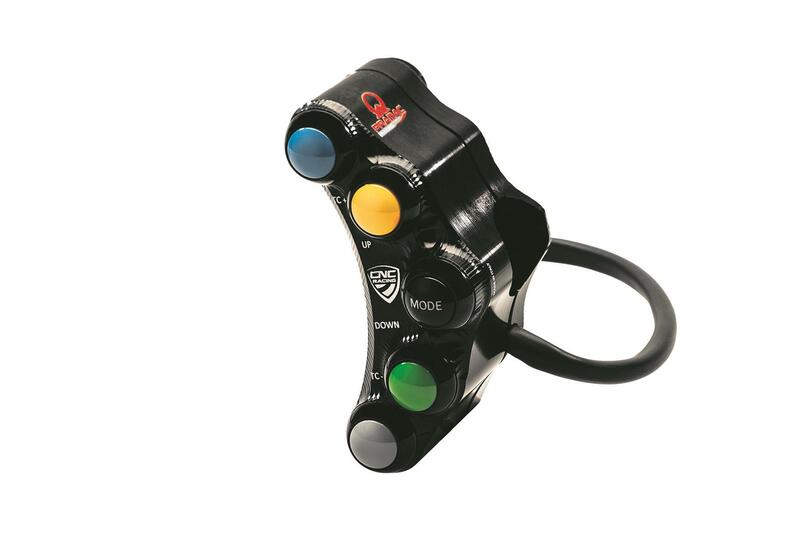 We take a quick look at CNC Racing's Plug & Play Pramac Replica Switches (£160). What’s good? Owners of Ducati Panigales, Multistrada 1200s, Hypermotards, Streetfighters, Monsters and Diavels can now have racing-style switches. Beautifully made from 7075 aluminium, the buttons meet military standards of toughness and waterproofing. Available in left and right-hand styles and versions for road and track are available. And the not so good: Costly for something that’s mainly aesthetic.